HOT CLOSE ENCOUNTERS AND RAZZLE-DAZZLE! International Balloon Spectacular and Enlighten Festivals Stir the Morning Air and Dazzle the Night in the National Capital. One of the world's best and biggest hot air balloon spectaculars and light show festivals combine for a party of hundreds of thousands in Canberra over many days and nights. RFA Photo: Balloons and small watercraft come together in the early hours of the morning in Canberra. In the foreground the Royal Australian Air Force (RAAF) balloon keeps a close eye on the 'birdie' balloon and the water craft. 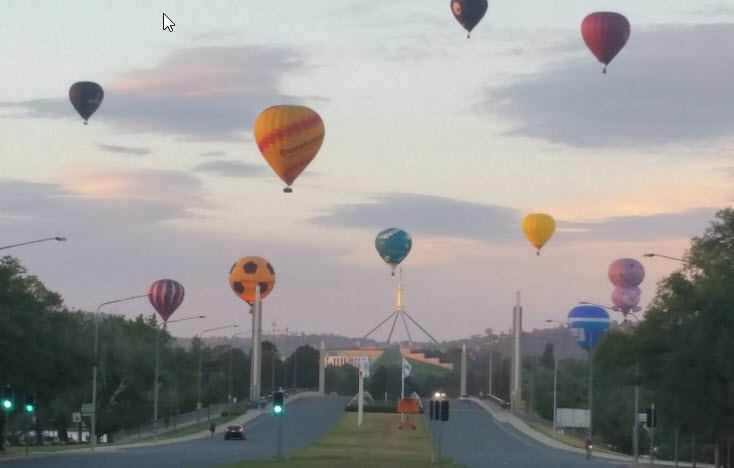 Canberra has become a jewel in the crown of the international balloon spectacular circuit. Canberra sits inland in the a cool expansive mountain valley area with beautiful lakes. 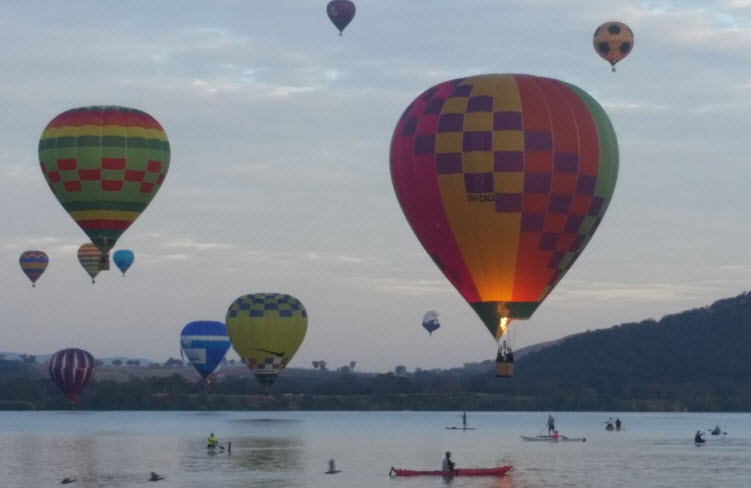 Balloonists from all over the world descend on Canberra every March to dazzle the delighted locals with their spectacular air show. RFA Photos: Hot air balloons making their presence felt over the national capital in the early hours of the morning as dawn breaks. RFA Photo: Just one small part of the huge crowd at the Enlighten festival, with the Old Parliament House lit up in the distant background. The Enlighten party this year went well into the night in front of the Old Parliament House Lawns with a crowd which looked liked it numbered well above one hundred thousand. The streets of Canberra in the Capital Hill and wider Parliamentary triangle area became jammed in all directions. RFA Photo: Kusina, Filipino-Australian restaurant serving up eager customers at with a stall at the Enlighten festival. 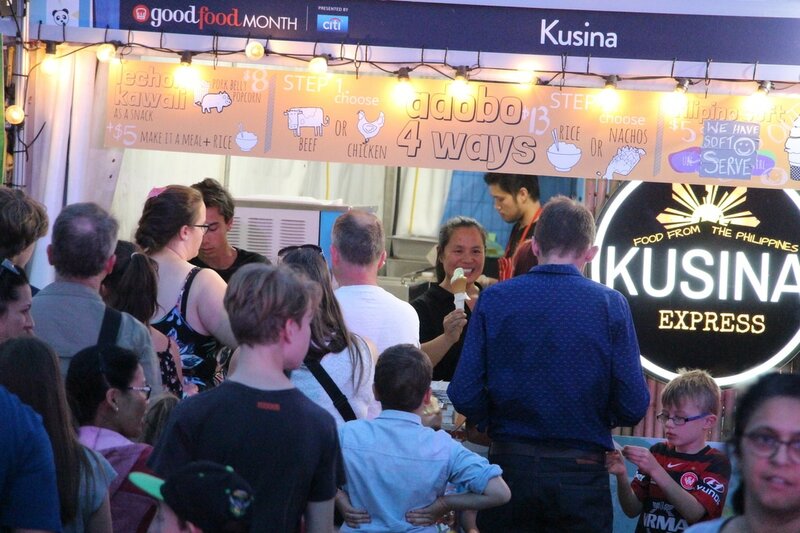 The ever popular and highly respected local Filipino restaurant Kusina had a presence at the enlighten festival and it proved to be a crowd favorite. 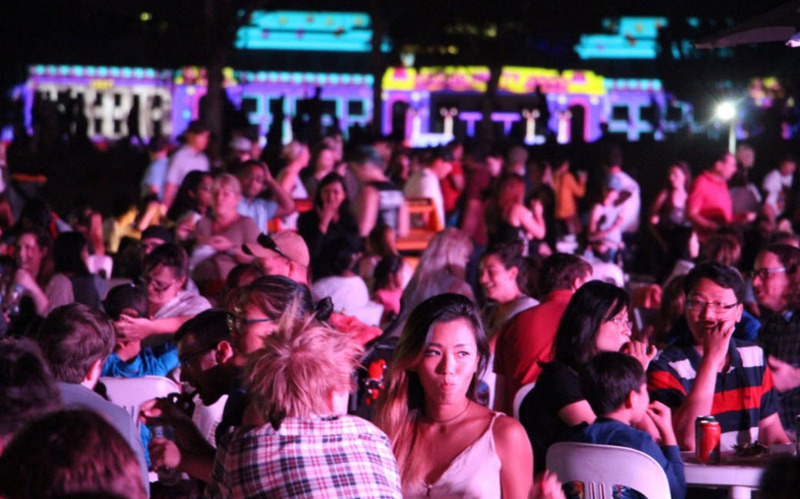 Also, another Filipino eatery from Victoria, Hoy Pinoy, returned to the Enlighten festival for another year. RFA Photo: Outside the National Art Gallery of Australia. 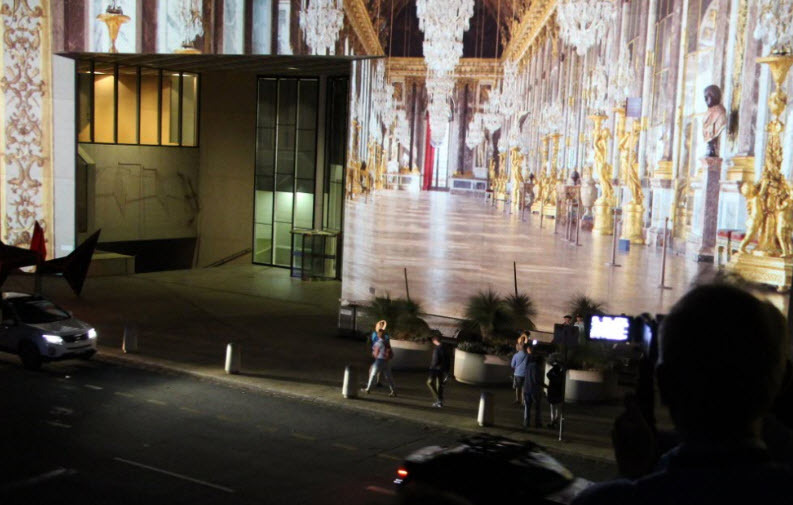 This was just one of many 3D images projected onto the outside gallery wall which delighted the spectators and drew them in.